This week, the PGF team tackled the activities section of the upcoming website. 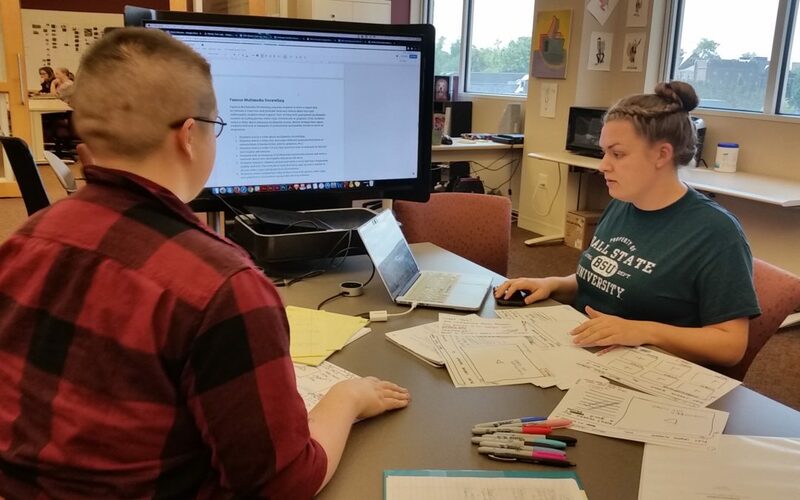 After meeting with the web designers who are helping us build the final prototype, we learned many of the constraints and capabilities of the website’s format. This required that all of the activities go through a second brainstorming process to be tweaked or overhauled. There will be 12 activities in our first round of designing and prototyping. When talking with teachers earlier this year, we found differentiation – the scaling of difficulty up and down for students of varying capabilities – to be important in curriculum planning. Because of this, we have written our activities and mapped our unit structures to fit that model. These activities cover all four grade-levels we plan to reach and scale in difficulty as the students progress through the units.